Ardele Lister is currently making a documentary about the life and times of Jean Franco, an eminent feminist critic and scholar of Latin American culture. 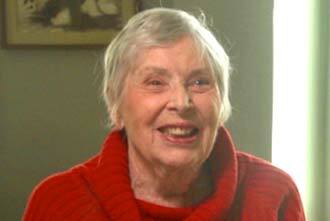 Jean is Professor Emerita of English and Comparative Literature at Columbia University. Over the course of her 60-year career, Franco introduced the “boom” writers of Latin America (Gabriel Marcia Marquez, Mario Vargas Llosa, Jorge Luis Borges, Nicanor Parra…and others) to the Anglophone world, so much so that the governments of Mexico, Chile and Venezuela have all bestowed their highest awards upon her for promoting their national cultures to the world. She is the winner of the 1996 PEN award for lifetime contribution to disseminating Latin American literature in English. Her books include Cruel Modernity, Plotting Women: Gender and Representation in Mexico, César Vallejo: The Dialectics of Poetry and Silence, The Decline and Fall of the Lettered City, and A Literary History of Spain and Spanish. 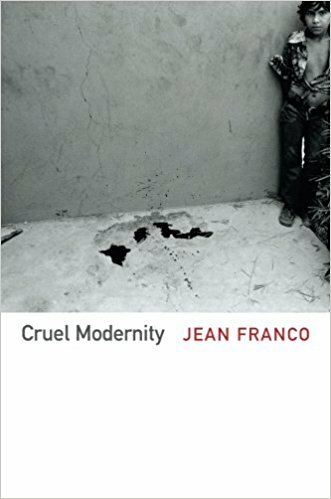 Her most recent book, published when Jean was 90, Cruel Modernity analyzes and critiques the “dirty wars” in Latin America and the repression of artists under those regimes. 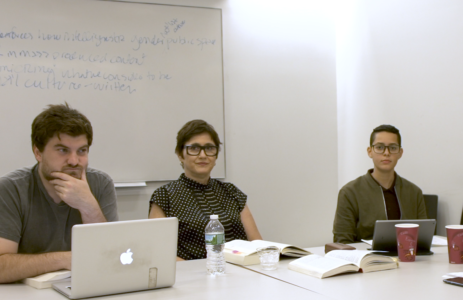 We filmed Professor Josefina Saldana-Portillo and a group of her students- in NYU’s Dept. of Social and Cultural Analysis- discussing two of Jean Franco’s very pertinent writings. 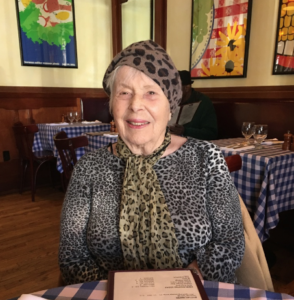 At 93, Franco is still active researching the gendered and racial sources/conditions of violence including the narco violence against women along the U.S./ Mexican border and the “disappearance of the 43” (students) who were on their way to a political protest when they vanished. Jean Franco is a natural, animated storyteller who has lived and worked all over the world. We hope in this film to capture her joie de vivre, as well as some of the wisdom accrued from encountering artists and writers at the height of the social, political and artistic revolutionary movements in Latin America. In addition to the class at NYU, we’ve shot interviews with Patrick Deer (Associate Professor of English at New York University), Cristina Pérez Jiménez (Assistant Professor of English at Manhattan College), both former students of Jean’s at Columbia University; and a conversation with María Josefina Saldaña-Portillo (Associate Professor of Social and Cultural Analysis at New York University), who first knew Jean through her pioneering work. In May 2017, Ardele travelled to Mexico with a small crew of Rutgers Film Students, and working with the Mexican cinematographer, Carolina Corral, shot interviews with Jean’s friends and colleagues living there, including eminent scholar Marta Lamas, the performance artist Jesusa Rodriguez and scholar Dr. Marisa Belausteguigoitia Rius. 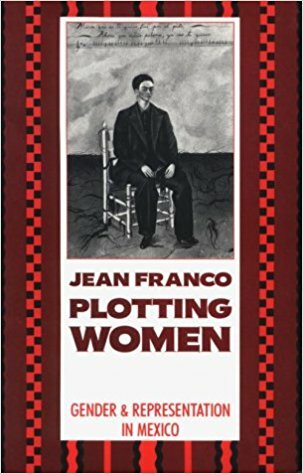 Jean Franco is a portrait of a feisty, adventurous English woman who began life as a baker’s daughter in a depressed Northern England town and lived there thru wartime, with bombs exploding in nearby Manchester. Post-war, Jean’s curiosity led her to live amongst the revolutionary artists in Latin America, first in pre-coup Guatemala, and afterwards in Mexico City. Seeking a greater formal education on the history of Latin America and its culture, Jean moved back to England, and immediately after earning her second degree, began the first Dept. for Latin American Studies in England. Franco was one of the key players defining and developing the field of Latin American studies. This will be a film for everyone interested in Latin American Literature and Culture, for people interested in feminist and Marxist methodologies, in the way those ideologies manifested differently around the globe, and for those curious about this amazing woman’s life.